In addition to the 30 select theaters that were picked to air the first trailer for "Star Wars: The Force Awakens," the 88-second clip was also released today on iTunes Trailers and the official Star Wars YouTube channel. The clip opens to a chilling voice-over saying "There's been an awakening, have you felt it?" Then, things really kick into high gear with Storm Troopers, fighters and a new character that looks to be a villain from the "dark side" with a new kind of lightsaber. Finally, the iconic music breaks in toward the end as we get our first look at the Millennium Falcon! Watch it now! The official title for the seventh "Star Wars" film was just released earlier this month and the full movie is set to hit theaters Dec. 18, 2015. Filming of the movie wrapped about a month ago. 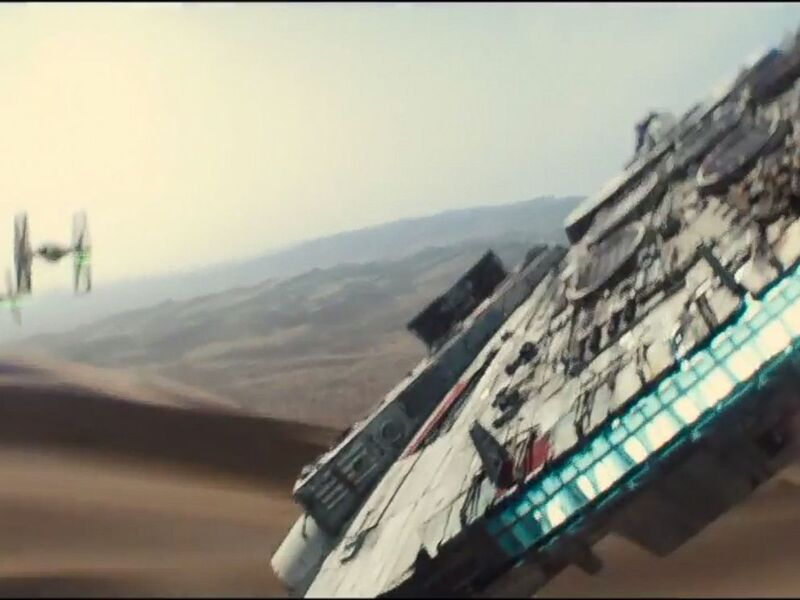 The Millennium Falcon fights off TIE fighters in this screen grab from the official teaser trailer for "Star Wars: The Force Awakens." In addition to the original stars like Harrison Ford, Carrie Fisher and Mark Hamill, "Episode VII" will feature a slew of newbies, including "Girls" star Adam Driver, Andy Serkis and Oscar nominee Max von Sydow. Oscar-winner Lupita Nyong'o and Gwendoline Christie from "Game of Thrones" have also joined the cast. Star Wars is produced by Lucasfilm, which is owned by The Walt Disney Co., which also owns ABC News.